THE issue of poor remuneration, as well as poor welfare provisions for journalists, has been identified as one of the greatest challenges facing the media industry in Nigeria. To find a way around this major challenge, the Premium Times Centre for Investigative Journalism (PTCIJ), has commenced a social media campaign tagged “Journalists Welfare Campaign”. 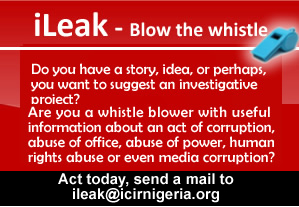 The initiative, which is in partnership with the Coalition of Whistleblowers protection and Press freedom (CWPPF), will kick off with a roundtable discussion for journalists on Tuesday, August 28, 2018, at the Civic Innovation Lab, Wuse 2, Abuja. The campaign is aimed at highlighting the welfare status of journalists in Nigeria while seeking new creative responses for better working conditions of service, including welfare provisions for journalists and their families in the event of proven cases of extreme hardship and neglect by their employers. “The wider ramification of the problem is that most media organizations also do not pay salaries, as well as benefits like pension, insurance and other statutory requirements like tax remittances,” PTCIJ wrote in a statement on Monday. “On a final note, the campaign hopes to create a positive impact to the Nigerian Journalists on issues of restoring the dignity of Journalist in Nigeria, as well as lobby and advocacy for a better welfare.